This Sterilite Medium Nesting Show Off is a part of the family of Sterilite Show Offs. These nesting show offs feature aquarium blue accents that with molded grooves for stacking other containers from the series on top of each other securely. These Sterilite Show Offs feature a built in handle and collapses when not in use. 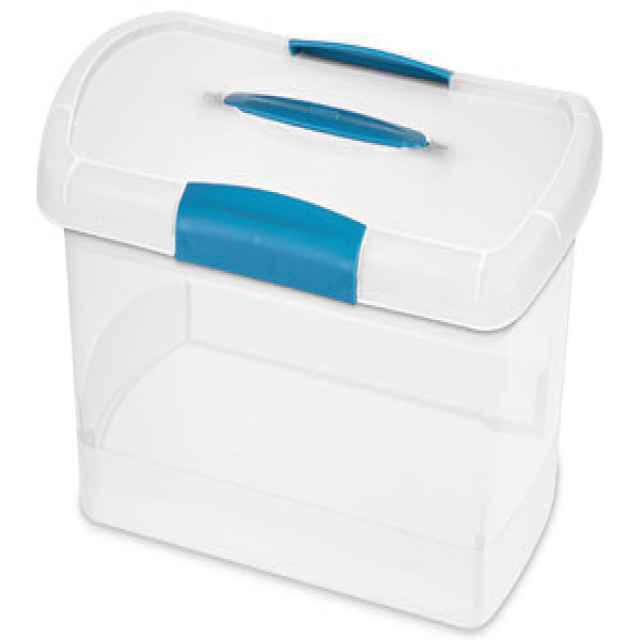 The lid on the medium nesting show off stays secure with latches that snap on tight. The Sterilite Medium Nesting Show Off totes come in a set of 6.